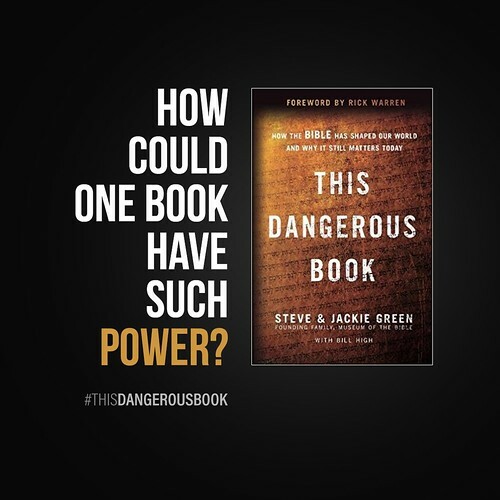 A Snyder’s Soapbox Review of, “This Dangerous Book” by the Greens, Founders of Hobby Lobby. I know this review is going to seem negative at times. Please realize this has more to do with my expectations, and subjective bias. I’m a stickler for theology, and evangelism. I also prefer more academic works. If you are like me, you will find this review helpful. If you are a layman and have more of a superficial interest in theology, then this review won’t be that relevant. 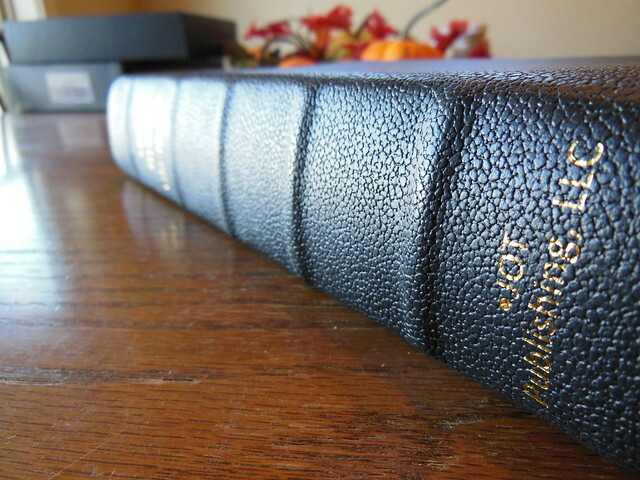 “This Dangerous Book” has a provocative title, with an implicitly lofty goal which can be inferred from this statement on the cover, “How the Bible has shaped our world and why it still matters today” I had hoped that it would more thoroughly treat the topic of the Bible, and its effects on human history. I was somewhat disappointed. It did not live up to my expectations. I was expecting a much larger, well fleshed out, academic treatment of the topic. This book could have been edited down to be an introduction to a book on the topic instead. It could have also been a brief book on the efforts of the Greens to collect Biblical artifacts for their museum, or the personal experiences of the Greens in regards to their faith. The Greens attempted to do all three in a book that is only a couple hundred pages long. The book didn’t accomplish any of them to my satisfaction. In my opinion, books that add value to the Christian library must meet some criteria. The main attribute I look for is whether or not the book is Christ/gospel centered. They should also be; evangelistic, exclusive, (exclusivity of Christ) theologically orthodox, intellectually stimulating, educational, reasonable, and well bibliographed/annotated. This book would only be educational to the laymen. It gives a basic overview of the history of the Bible, and its effects on mankind. The Green’s expressed their desire to present the Bible without any bias. They even had their collection displayed by the Vatican without a note of distinction between Roman Catholicism, and Protestantism. I was disappointed with their ecumenism, and their efforts to keep the book, and museum, from being overtly evangelistic. The personal stories of the Greens were encouraging and inspiring at times. The theology of the Greens was not fully expressed. I think this was in an attempt to have a broader audience. Because of their ecumenism, desire to have a wide appeal, and brevity of the treatment of the implied topic, the book fails to meet my requirements for a valuable book. That’s not to say that there isn’t any value in this book. There are books that many Christians would find interesting, but not necessarily worthy of their personal libraries. Books like these are more for entertainment. They are the types of books you read and then give away. This book falls into that category. As such I can recommend it. If you have some spare time on a weekend, and are not in the mood for something more substantial, this book would fit the bill. The writing is interesting. The personal experiences the Greens write about hold your attention. Their enthusiasm for the Bible is commendable. Just because it isn’t my cup of tea, doesn’t mean it won’t thrill you. That is one of the great things about books. They are as varied as the authors and readers. If you like to write about something, there will be someone who wants to read about it. What the book gets wrong; it is too ambitious for a book that is approximately 200 pages. It will have limited appeal to academia. It is more of a primer of the topic of the Bible’s affect on history. For the title it talks too much about the Green’s experiences, and their Bible museum. It doesn’t make a clear gospel presentation. It demonstrates the Green’s flawed approach to ecumenism. It isn’t a book that will be read over and over again, or used for reference. It is a read once, and give away type of book. What the book gets right; it will appeal to the wide varied masses of folks who profess to be Christian, including cults and groups that aren’t. It is a decent primer for anyone who has given absolutely no thought to how the Bible has shaped human history. New Christians might find it encouraging. Anyone who wants to know more about the founders, and owners of Hobby Lobby will enjoy reading about them. 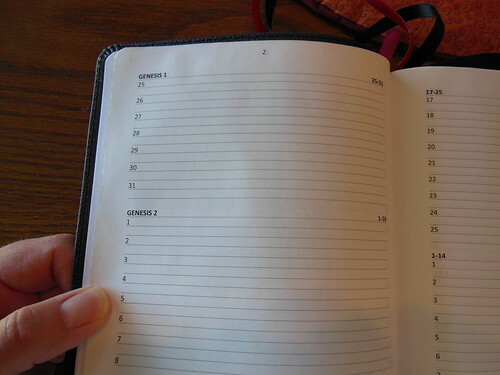 Hey folks, just in time for Christmas the fine people at www.jotbiblelifenotes.com are giving away a copy of their fine leather bound journal. If you want to take a look at it, read the review I did here. All you have to do to be considered is to make a comment on this post expressing your desire to be put in the running for a free copy of this journal. The winner should be announced 12/10/16.